Coming soon, one of the greatest television programs ever! It’s normal these days to feel like we’re constantly on the go. But in the midst of keeping up with a busy life, we often ignore our health needs, especially those we have to consciously choose to focus on. You can keep that from happening by implementing the following head-to-toe health strategies to help make whole-body health a priority. The first thing to realize is that our body’s systems are interconnected. Your gut health is connected to your mental health, which is connected to your oral health, which is connected to your heart health. Everything is intertwined. For example, exercising even small amounts daily does more than just keep your heart and lungs healthy. The endorphins you get from exercise affect mental health too, keeping you more mentally balanced and at less risk of anxiety and depression. The same can be said for dental health, which affects many parts of your overall health besides just what’s going on in your mouth. Poor dental health is often linked to inflammation and other diseases that can cause major problems. Despite these issues, many of us put dental health on the back burner, maybe forgetting to floss daily or not getting regular checkups. Some people do this because their dentist is too expensive or inconvenient. If this sounds familiar, it may be time to change dentists so you can get the dental care you need. Along with finding the right dentist, taking the time to brush and floss every day is a simple step to staying healthier. If you need an extra push, consider getting an app to keep you on track for better oral health. Dental health is easy to single out as something that gets overlooked, but that isn’t the only thing we ignore when life gets hectic. It’s just as important to stay on top of your overall health with regular checkups. Many of us let little things like insomnia or aches and pains go on too long. Instead of suffering in silence, make the most of your health insurance benefits by getting those things checked out. This is important at every age, but seniors are especially vulnerable to health issues that can often be managed with the right diagnosis. For seniors to maintain optimal health, it's crucial to get annual medical, dental and vision exams. While having Medicare ensures you've got medical coverage, you might be forgoing dental and vision exams due to cost. If that's the case, you're not stuck with just Medicare. Look into switching to a Medicare Advantage plan, like those you can get through Humana. Not only do these plans offer Original Medicare along with dental and vision coverage, but they also provide access to fitness and wellness centers around the country. That’s a lot of health bang for your buck! Keeping your home healthy is another way to stay on top of everyday health. Start by making sure you’re breathing clean air. This Old House explains that bacteria, allergens, and toxins can be found in the air inside your home. Changing your HVAC air filters regularly is an easy way to effectively remove smoke, pollen, dust, dander, and mold from your air. When choosing the right filter, look at the MERV rating (MERV 8, 11 or 13). A filter with a higher MERV will trap more particles than one with a lower MERV rating. It also helps to dust and vacuum regularly, in addition to removing clutter. Just like unhealthy air is an invisible hazard lurking in your home, mental health is another one of those things that tends to stay hidden. Even if you aren’t suffering from anxiety or depression, if you aren’t actively caring for your mental health, it probably isn’t 100 percent. One of the best ways to do this is by practicing gratitude. The blog Positive Psychology Program highlights some popular gratitude activities like journaling or creating a gratitude box. Setting aside just a few minutes to do one of these activities daily helps shift your focus toward positivity and leads to improved self-esteem and better physical health. Just because these health needs sometimes fall under the radar doesn’t mean they aren’t important. If you’re used to going through life without giving your health much thought, now is the time to make a change. Even the smallest daily habits can make an enormous difference in your overall health. Watch as we share the new covers for Pilate’s Ghost and Pilate’s 7. Learn the latest with Alex on his Feb. 18 Facebook Live. 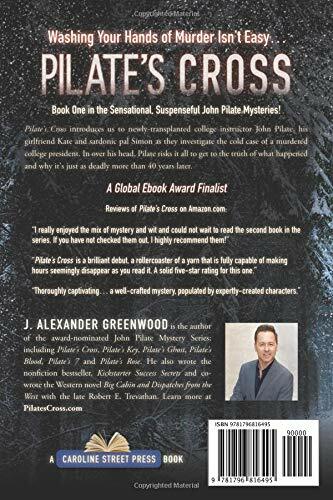 The New Look for "Pilate's Cross"
Very excited to unveil the new cover for the first book in the John Pilate Mysteries, "Pilate's Cross"! I'm working with the talented Jason McIntyre to reimagine the covers of the first four books in the series. This is no slight to the original covers done by a talented artist, but I want a more consistent, cohesive, and yes, much more commercially-viable aesthetic that makes it easier for readers to identify the series by the cover. We will roll out the new covers for "Pilate's Key", "Pilate's Ghost" and "Pilate's Blood" over this next few months. I hope you will agree that Jason's work evokes the unique mood of each book, while still tying together the serialistic threads. Also, in the case of this first book, this is the third revised edition. We fixed a few minor errors and reset the interior design for the paperback version. 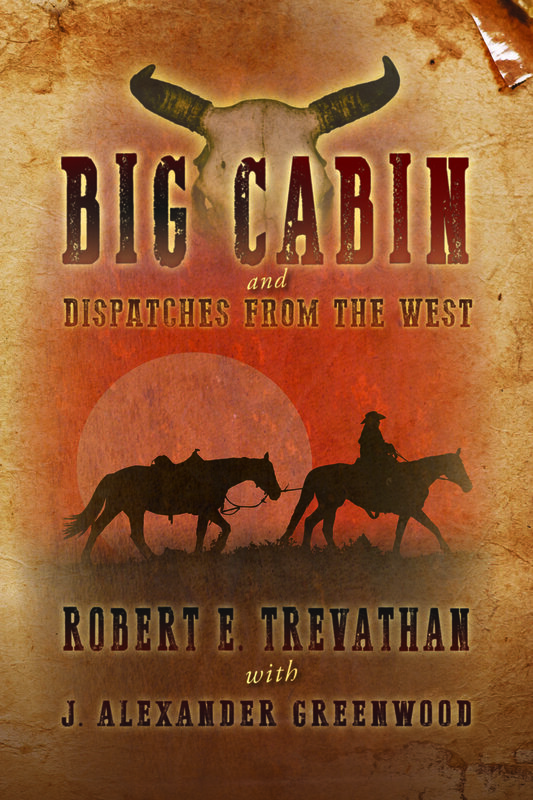 So, if you have this #ebook in your Amazon.com #Kindle now, it should download this newer (final!) version next time you refresh it. Please note the new paperback is not yet directly tied to the existing Kindle and audiobook pages yet, so if you are interested in picking up this new version in paperback, be sure to use the link below until the old version is retired. And if you need a copy of the old paperback version, that link is still live for a few more days--just goto the ebook version and click over to the paperback. And of course if you want an autographed version, just message me here and we will get it taken care of. Thanks for your support. I hope you like the new, fresh look for the John Pilate Mysteries! Get Pilate's Rose FREE Until Feb. 6! Evil is in full bloom in Pilate's Rose...book 6 in the critically-acclaimed John Pilate Mystery Series. Get it now FREE and see why readers rate the John Pilate books as "must reads" for mystery, action and suspense! Today I said farewell to my dear friend. If you couldn't be there, here's my eulogy for the Reverend Jeff Hamilton. You can hear the recording of his eulogy on the Mysterious Goings On podcast. Friends, family, Reverend, Wanda…thank you for this opportunity to say a few words about a man who is obviously so beloved by so many, our dear friend Jeff. So here I am, Jeff. Here are my few words about you, the right Reverend Representative. When I think of Jeff, it all starts with one word. Jeff Hamilton never lost an election. "My nickname at the Capitol among some good friends was 'landslide' because I seldom won re-election by very many votes. I won my first election over the Republican incumbent by 101 votes." His district was House 101. The elections were close. But all the same, Landslide Hamilton was undefeated. From 1986 to 1994, Jeff served four distinguished terms in the state legislature. Jeff’s service was where his heart was—caring for all Oklahomans, for all people--as chairman of the House Committee on Health and Mental Health. He helped Oklahomans in a variety of arenas, including juvenile justice, mental health, AIDS research and treatment programs, and education. If you have a Living Will here in Oklahoma, you can thank Jeff Hamilton. He worked hard and served without pretension or vanity. "There were those who won big on the campaign trail but goofed off once elected! And even worse, there were those who lost who would have been productive members of the Legislature." There is not enough time at these proceedings to speak of his many successes and the myriad ways he made Oklahoma better through his legislative service; suffice to say he left the Capitol better than he found it, and then left the legislature on his own terms. It was just after he decided to retire from the legislature that I, as a naïve, well-meaning, first-time candidate, met Jeff and Wanda. I was full of idealism and energy—ready to take back the seat Jeff had retired from. Jeff and Wanda were both so kind and encouraging to this goofy kid who shared their zeal for a better Oklahoma. I tried like heck, and Lord knows Jeff made calls and knocked doors and did what he could to help me win, but I didn’t. I was down, and Jeff let me wallow in my defeat for a grandly expansive three or four days before he reminded me there were still battles to fight and more elections ahead—and that true defeat was to stop the fight for what is right. Around that time, Jeff turned back to the ministry here at First Christian, continuing his work through different channels; but he kept his hand in politics, winning two terms as Oklahoma County Democratic Party chairman. I served with him as county party secretary and can tell you that he took on the job at a very challenging time. It was one of the toughest and most thankless jobs in local politics and he did it with zeal and unflagging energy. Under his leadership he helped reorganize and reinvigorate the county party, making it a forceful advocacy and field operation. I saw him take piercing criticism from the opposition, and even members of our own side at times. He endured it with grace, refusing to get in the mud. Instead, he strove to build consensus with the strength of his reasoning; I believe his was a political philosophy assured of the value of education and the indispensable need for empathy. Jeff’s sword was his intellect, his armor was his compassion. I’m a poor Boswell for all the many wise things my mentor told me over our 24-year friendship, but the gist about loss, whether it was a failed election campaign, a broken relationship, or even death, was that in moments of defeat we need not be wholly defeated. That in loss there is a lesson. In 2003, I moved away from Oklahoma, and friends, I felt defeated in so many ways. It seemed my best chance to restart my life and career was to leave everything and everyone I knew for a job out of state. And when I found the love of my life on the road to that new chapter, Jeff was the minister who traveled to our wedding and married Stephanie and me. When we were Baptized, Jeff and Wanda and her mother June came up to Kansas City. I think he loved it that I moved to and adopted his hometown, and I treasure the day we all piled into the car and saw the parts of KC where he grew up. When our daughter came along, he and Wanda spoiled her whenever we visited. Amidst discussions about politics, the Sooners and spirituality, Jeff would move the candy bowl a little closer to Caroline (and himself). Jeff was there when my family needed him. Years ago my mother was very ill and we nearly lost her. Jeff was there with an arm around my Dad and prayers and words of comfort for us all. When my grandfather passed away, Jeff helped my entire family get through it with his sermon and service. But we weren’t the only ones. How many people in this wonderful church were on the receiving end of Jeff’s good works and kindness? How many of us from a variety of faiths were brought closer together by Jeff’s leadership of the Interfaith Alliance? The past few years, even though Jeff’s physical body started to wither, his mind was ever-sharp and his spirit still bold. His weekly emails with thoughtful prayers and his enumerable, witty letters to the editor were high points. But the best was football season. Being a good son of Kansas City, Jeff was a Chiefs fan, and I had become one not long after I moved there. He was great with a smartphone, and we would text each other throughout games, cheering touchdowns and cussing our terrible defense and those incompetent refs. We’d do the same with the Sooners. Football became yet another battle we could join together, with renewed fellowship; a way to find a victory even in defeat on the gridiron. The Chiefs came very close to the Super Bowl this year. As usual, we texted during the season. My last text from Jeff was on the day of the AFC Championship. After a heartbreaker of a loss, I texted him a sad face emoji. Within moments he texted back an exclamation point and a flower emoji. I knew what he meant. No tears! We still love our team. If we learn from loss, remain loyal to our friends, and keep compassion in our hearts, we will be like Jeff. He’s not here physically, yet I feel him. I feel his presence, especially in this sacred space where he shared so many brilliant sermons. And I will reach for this feeling the rest of my days when I feel loss or despair. I will think of my dear friend Jeff and the true meaning of undefeated. Fun to look back to where it started in this, the tenth year of the John Pilate Mysteries.